BOOKWORMS will be squirming with delight on Wednesday, April 17, with about 3000 books on sale, for just $1 each, at the Boat Club Monthly Art and Craft Market. 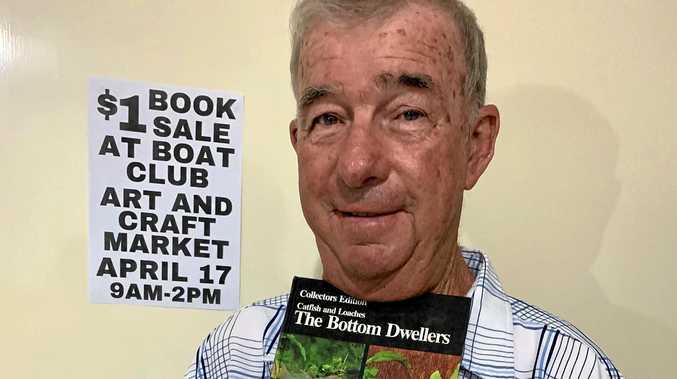 The Hervey Bay Boat Club Fishing Club are holding the huge book sale to raise funds for the Salvation Army. Organiser George Duck said the club had to find an alternative way to raise the annual $500 donation this year due to the Hervey Bay Family Fishing Competition, their previous fundraising event, no longer being held. He said the book sale was a perfect fit. "Every year the fishing club gave the Salvos $500 for the Red Shield Appeal and, without the comp, we had to find a way to make some money. "They are all $1 ... where else would you find a book for $1." Mr Duck said there will be books to suit all ages including craft books, fiction and non-fiction and children's books, plus a big variety of arts and crafts for sale. The markets are held on the third Wednesday of each month. The book sale will be held at the Hervey Bay Boat Club in Urangan on Wednesday, April 17 from 9am to 2pm.